Oakland, Calif. -- The best shooter in NBA history stands before us with amazing moves each game. He has left us in awe, with an outstanding performance during the playoffs, reminding us why he was crowned as the league's MVP. Stephen Curry has been unstoppable; he made seven three-pointers to break the NBA record for most three-pointers (59) in the playoffs in a single season, passing Reggie Miller. It took Miller 22 games to make 58 three-pointers in the 200 playoffs. Curry broke the record last night when he reached his 59th three-pointer in 13 games. Miller, who is now retired and an analyst on TNT Network, did not waver in congratulating the MVP on his success via Twitter. "As for my record, the great rock band Queen says it best, 'Another One Bites The Dust'," said Miller. 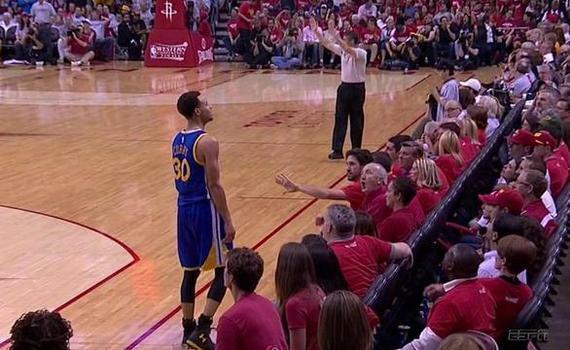 "Mr. Curry, the floor is yours." The extraordinary point guard takes his bow as he lives up to the expectations of winning that prestigious award. Curry finished with 40 points, making it look too easy, outscoring his opponent James Harden, who finished with 17 points. The Warriors' 115-80 victory was the largest playoff win since a 39-point victory on April 6, 1948, in St. Louis. Golden State is up 3-0 in the series, while the Houston Rockets are on the brink of elimination. What began as a battle between the two top leaders in the Most Valuable Player voting has now become a platform for Curry alone. The babyfaced assassin plays a game of catch, leaving defenders befuddled on the floor, losing track of him. 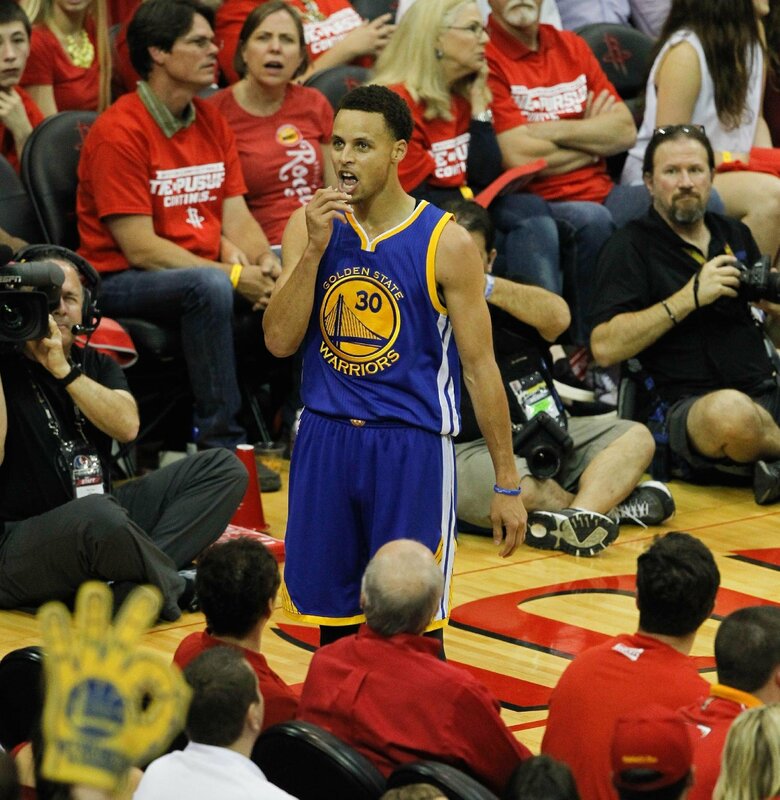 "We are as desperate as they are to increase our lead," Curry said. "What you saw in the first half, especially the energy, effort and focus we came out with, we were able to sustain it for 48 minutes. It was the best game of our series." The Warriors are one game away from making it to the NBA Finals and possibly face the NBA's best player, LeBron James. The team that lives and dies by the three-point shot may have to do more to stop James and his Cavaliers. But they'll have plenty of time to figure that out if they close out the Rockets on Monday. "It's all about just valuing every possession and defending like crazy and everybody competing," said Kerr. "When we do that, we're tough to beat." The team feels like they get better everyday. They don't know what lies ahead because they haven't been here before. This is a new journey for first-year head coach Kerr, as well as Golden State, who never advanced from the second round in the three years during the playoffs. They're learning from their mistakes as they go, with no vision of the path unknown that was previously designed. "You know, everybody on that team has confidence to come out here and try to make plays, myself included," Curry explained. "If you get stops and get a flow, a rhythm, to the game, things start to happen." Houston is one game from being eliminated. With a win tomorrow, they can stay alive, if they can contain an explosive Curry. The first two games of the series seemed be a good match-up. But after the Warriors' crushing defeat over the Rockets last night, the heightened anticipation of the NBA Finals has increased even more. I think we're ready for the two best teams in the league to go head to head.